London Fashion Week has sadly come to and end but it's safe to say after jetting back from New York and heading straight into London, I'm knackered! I collaborated with Mint Velvet over the weekend to give you two looks minimal Scandinavian looks using suede's and neutral tones from their new collection. The first outfit I sported on the Saturday for the Julian McDonald show, combined the gorgeous tan suede jacket (this will come in super handy in spring) with a head to black look. I'm partial to an all black on ensemble and wearing the suede over the top really set the outfit off. The detail in the jacket is amazing-the suede is incredibly soft and I love detail in the silver hardware. Flares are always a must over fashion week, they elongate your legs (which I'm always a fan off-the more height the better) and don't forget look super sleek. 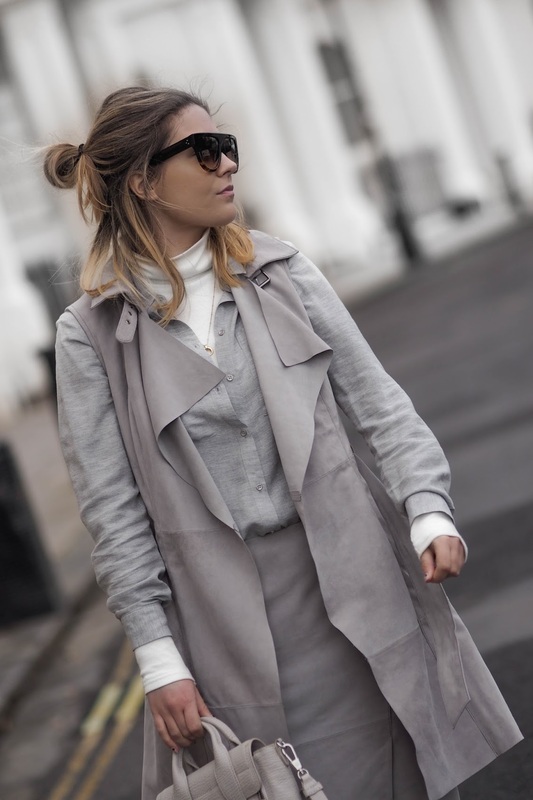 My second outfit I wore on the Sunday to take in the street style London has to offer. 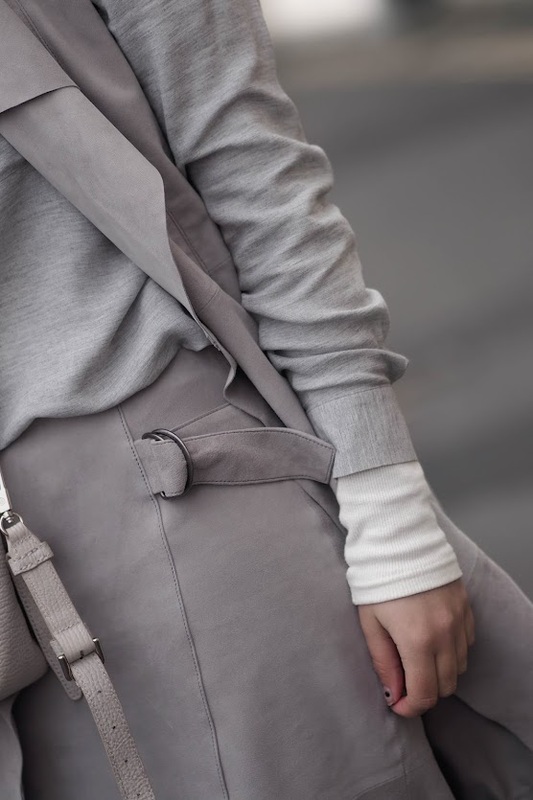 I love combining tones of the same colour in different textures as I've done with my head to toe grey look. Using different textures and materials when wearing the same colour really brings out the outfit and makes it look alive. 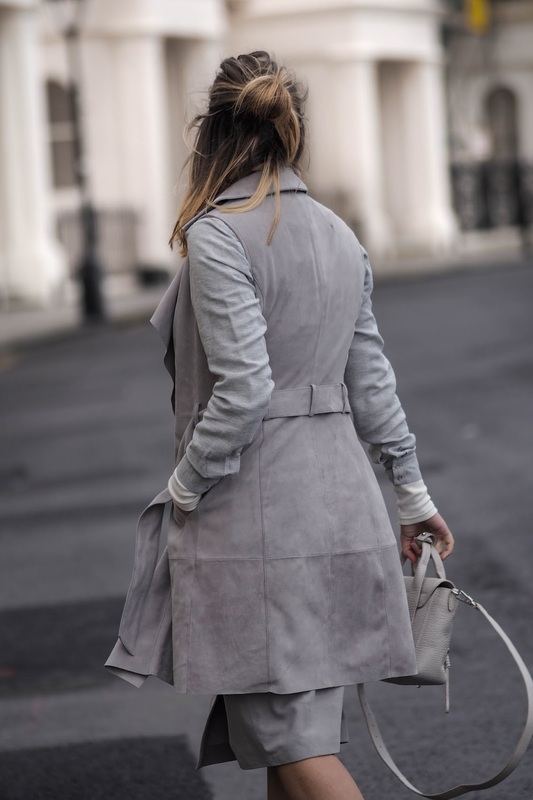 I've combined the lightweight suede in the sleeveless waist coat and matching midi skirt, against the marl grey shirt bringing out the tones in the stone coloured mules. Topped off with an obligatory Phillip Lim 3.1 mini. Loove both of the looks! But the first is definitely my favorite! Such gorgeous look in the first outfit, Agreed black on ensemble and wearing the suede over the top really set the outfit off. Look so trendy and gorgeous. Unique outfit with cool idea. 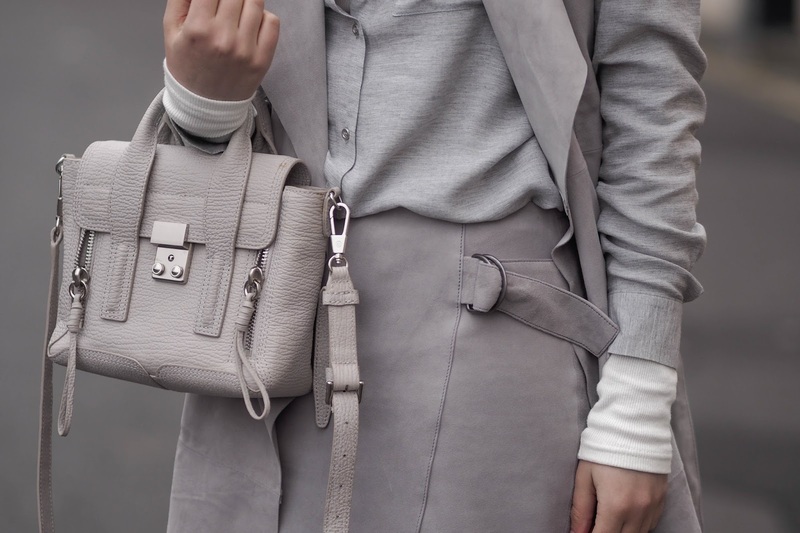 Just love the gray and white combination. Simply fab and decent.